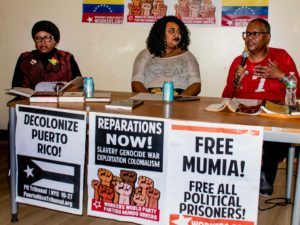 The People with Disabilities Caucus of the People’s Power Assembly joins the international progressive community in condemning the attempted execution by medical neglect of Mumia Abu-Jamal. 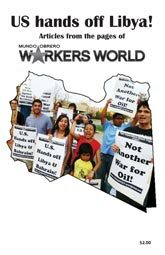 Writing from behind the walls of the prison-industrial complex, internationally renowned political prisoner and journalist Mumia Abu-Jamal is known for exposing the racist foundation of capitalism, from mass incarceration of people of color in for-profit prisons to U.S. war and intervention abroad. Unjustly convicted of killing a police officer, Mumia has spent 30 years in prison, until recently in solitary confinement on Pennsylvania’s Death Row. His demand for a new trial and freedom is supported by heads of state and prominent politicians in France, Africa, the Caribbean and Latin America and by Nobel laureates Nelson Mandela, Toni Morrison, Desmond Tutu and others. Mumia is now seriously ill. He is suffering from life-threatening diabetes, full body skin disease, weight loss of 80 pounds in the last two to three months, extreme dehydration, multiple neurological symptoms, [including] uncontrollable shaking, slurred speech and loss of memory with fugue states. He now uses a wheelchair. Mumia’s family and friends hold the Pennsylvania Department of Corrections directly responsible for neglect, malpractice and inadequately addressing the alarming deterioration of his health. Only if he is released will he be able to get the proper medical care to give him a chance at recovery. Prisons are a disability issue. Mass incarceration has resulted in the jailing of people with mental, developmental, emotional and physical disabilities in disproportionately high numbers. Many are unjustly incarcerated. Once in jail, they often receive inadequate treatment for their disability or no treatment at all. This violates Title II of the Americans with Disabilities Act, which guarantees prisoners with disabilities the right to adequate health care. 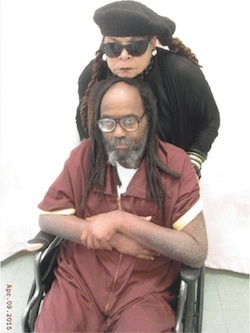 As activists in the disability rights movement, we demand that Mumia, and all prisoners with disabilities, be immediately granted full medical rights, as protected by the ADA. We demand that Mumia be able to see a doctor of his choice. 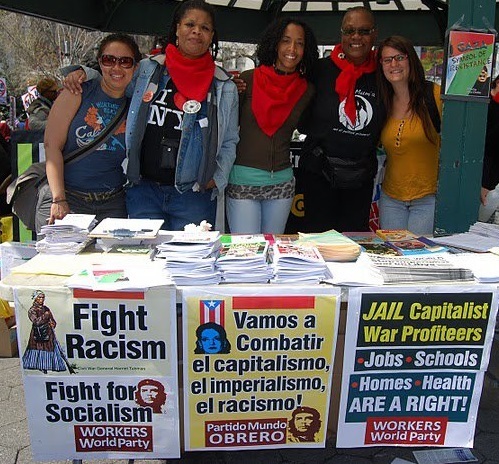 We demand that Mumia Abu-Jamal, who has been imprisoned for decades for a crime he never committed, be released immediately. We also urge you to circulate this statement as widely as possible.